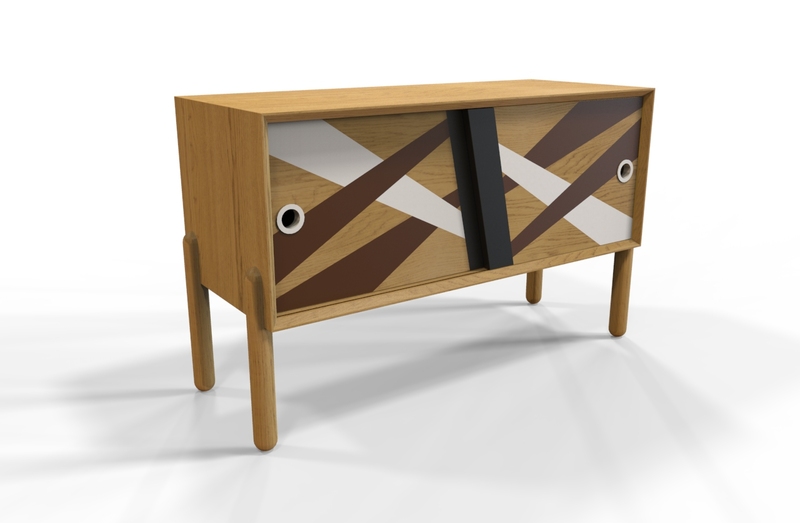 The Onne Dresser is a cabinet made of MDF with Teak Veneer. 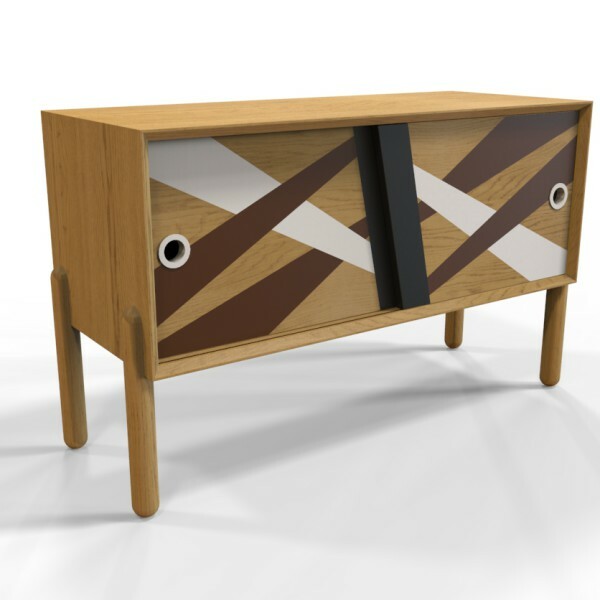 The round solid legs give this cabinet a unique look, and they are knock down for easy transport as well. The both sliding doors are not cut straight as in every other cabinet. Perfect choice for people who want something unique with a modern retro touch.